Hey Winter. Please go away. I’m longing for Spring weather. And not just the one teaser day that we get and then the temperature drops again. I want Spring here and I want it here for good. To get Mother Nature in gear, I created this adorable watercolor Spring printable. I’m totally loving the quote. And I think that Spring is the perfect time for watercolors, don’t you ? 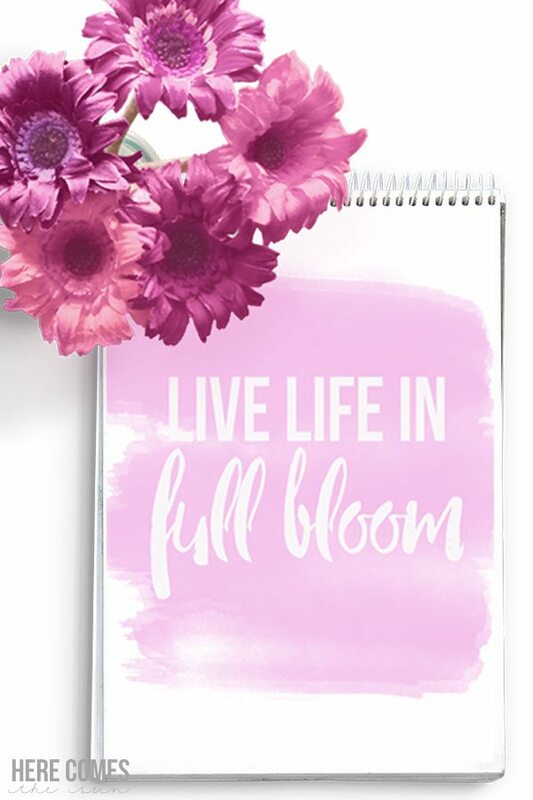 With everything new and blooming gain, it looks like the Earth has been painted with one big brushstroke of watercolor. Especially when the tulips bloom. Tulips are my all-time favorite flower and I look forward to their arrival every year. They just really put me in a good mood. 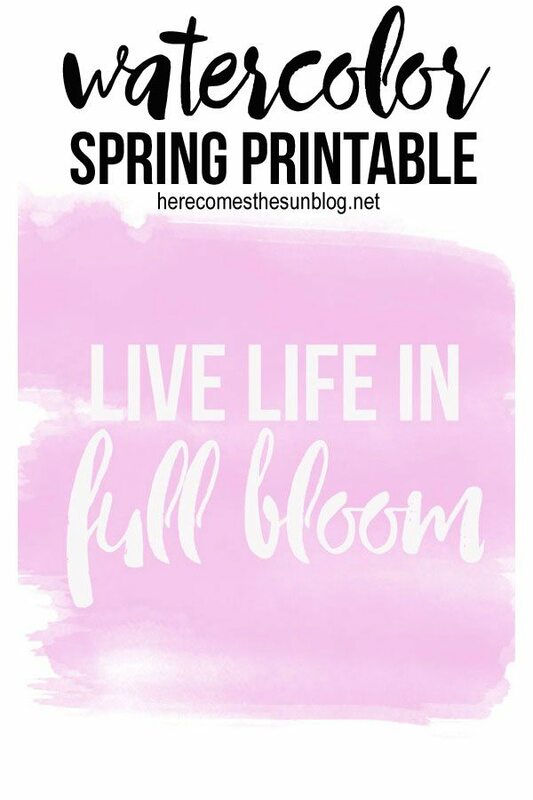 Click here to download your free Watercolor Spring printable. This printable is an 8″x10″. Please note that this is for personal use only. Print this out, dress it up with a pretty frame and Winter doesn’t stand a chance. Want more watercolor? Check out my Watercolor Easter Print. Looking to make your own digital print and searching for that perfect font? You can find tons of amazing fonts at Creative Market. (aff. link) It is my all-time favorite place for gorgeous fonts. Or if you want to create your own watercolor print by hand, my friend Jocie has an easy tutorial on how to do that! DID YOU LOVE THIS POST? CONSIDER SHARING IT BY USING THE SHARING BUTTONS AT THE TOP AND BOTTOM OF THE POST!